Kitchell, who became the clinic manager, the Ames Free Medical Clinic was opened in 1998, operating with volunteer staff and donated supplies. diabetes. About 120 professionals and community members (nurses, physicians, physician’s assistants, pharmacists and other volunteers) offer their skills at no charge and about $30,000 in generic medications are provided each year. 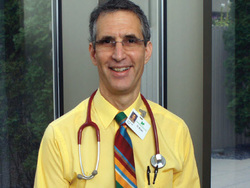 Aside from offering his own services at no expense, Dr. Brown generously contributes financially and is very successful in encouraging others to do so as well. 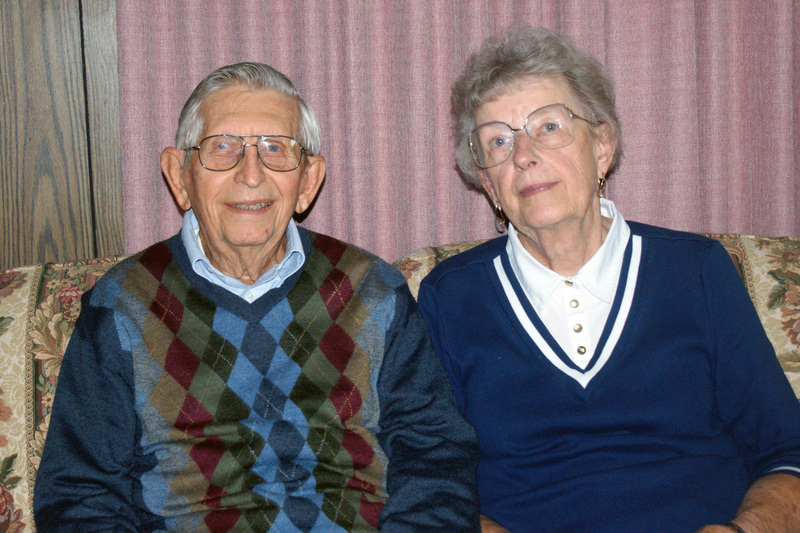 While Dr. Brown is hesitant to take credit because the clinic relies on a breadth of volunteer support, as Mary Kitchell points out, the Ames Free Clinic would not exist without Dr. Jay Brown. 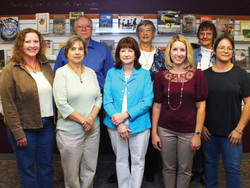 The Ames Public Library Friends Foundation raised over $36,000 in 2011, but only because the Foundation’s Sales Committee went above and beyond. The Sales Committee, historically raising up to $10,000 each year through annual book sales, creatively increased book sales volume in recent years. The committee added an on-site bookstore and theme-based special sales to capture unique audiences and maximize the community’s opportunities to purchase affordable books. The committee oversees more than 150 community volunteers who log more than 3,000 hours of service annually and continuously inspires more people to donate their time. The financial impact of this hard work is invaluable to the library. Friends supported programs could not exist without their funding. Funds raised through the numerous book sales benefit the Ames Public Library and the community in many ways. In addition to offsetting the costs of adding media to the library’s collection, the funds also support Project Smyles, an early literacy program for local schools and preschools; Literacy Changes Lives with DMACC, an adult literacy program; the library’s winter and summer children’s reading programs; Bookends at the Bandshell concerts; and the library’s home delivery program, which takes books to elderly community members who cannot get to the library. The Nevada KEY Club has exceeded the club’s tradition of “helping others above self.” The group, under the leadership of Maggie Davis and Judy Strobehn, has been actively involved with the Nevada School District and community projects for over 10 years and has 86 members. The KEY Club has raised over $6,000 to support various projects throughout the Nevada community, throughout surrounding communities and even throughout the world. Projects include Liberia Project, UNICEF Eliminate, Angel Tree, Festival of Trees and March of Dimes to name just a few. The Club also uses their philanthropic efforts to support other non-profit organizations in the community including childcare for Kids at First, PTA Childcare, Food at First, Community Food Packaging for Haiti, Teen Maze and the GRIP Mentoring Program. The role this group of young adults has taken in helping others is evident with over 700 hours of volunteer time donated to various groups and organizations. We salute the members of the Nevada KEY Club for their time, talent and giving to others. Their efforts make Nevada and our surrounding communities a better place to live. 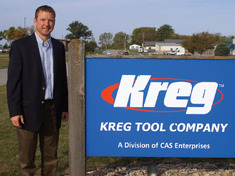 Kreg Tool Company, founded in 1989 by Kathie and Craig Sommerfeld, has supported many efforts throughout Story County. The owners, which include their son Todd, have led by example – they are leadership donors to both United Way of Story County (UWSC) and Youth and Shelter Services, Inc. (YSS), being recognized in the Tocqueville Society and Daedalus/Icarus Giving Society, respectively. For several years, Todd, President of Kreg Tool, has encouraged stronger Kreg employee involvement in the Ballard Division of the UWSC campaign, and contributions from that part of the county have increased significantly. Annually they participate in the UWSC food drive and also serve as a Par Sponsor for UWSC’s Golf Fore Kids event, which raises money to support youth and family programs throughout the county. Generous donations help ensure YSS continues to offer prevention programs, counseling, residential treatment, youth development and foster care/adoption services to the youth and families of the Huxley area. Their willingness to mentor youth in their business and to support the YSS Teen Club in the Ballard schools demonstrates their investment in youth and families in the area. In 2003, YSS presented Kreg Tool with the Employer Advocate of the Year Award for their involvement with youth in Ballard’s Multi-Occupational Cooperative Work program. Besides UWSC and YSS, Kreg Tool supports various community programs and empowers their employees to be involved in the community as well. Kreg Tool demonstrates a great combination for philanthropy – giving back to the community – giving of their time, talents and, most importantly, their resources. Jennifer and Brian Dieter are “doers” in our community. Oftentimes they don’t wait to be asked, they simply see the need and step up to serve. They don’t limit their support to making financial contributions, they become actively involved. They are active and committed supporters to United Way of Story County and Mary Greeley Medical Center, where they have been major donors to the recent campaign for the Diabetes and Nutrition Education Center and the current Extraordinary Visions campaign to support the medical center’s historic building project. 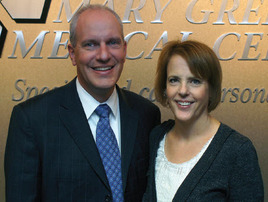 As President and CEO of Mary Greeley Medical Center, Brian is an outstanding leader, role model and mentor to others. Brian is an advocate for community issues on many levels, leading and attending meetings to educate the community about healthcare reform and actively participating in the discussion of mental health services in Story County. Jennifer and Brian both value education and have supported Ames education in many ways for many years. Jennifer is a substitute teacher, classroom volunteer and PTO officer. 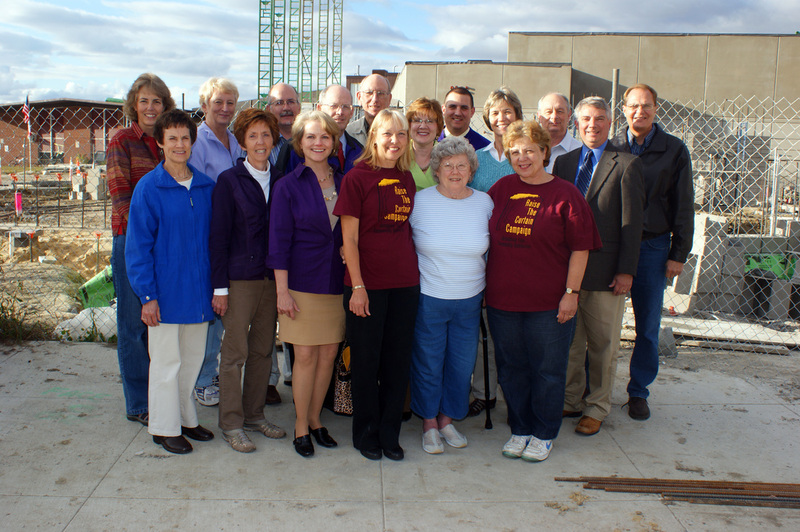 They made a significant gift to start the band endowment through the “Let the Band Play On” campaign, have been active members and supporters of the Ames High School Athletic Boosters and Band Boosters, are strong supporters of Raising Readers in Story County, and volunteer for a variety of activities. Jennifer and Brian both generously serve the community with a smile and great sense of humor and as a result, the quality of life for Story County residents is greatly enhanced.